A California man wants his money back from Krispy Kreme. But not because the donuts weren’t tasty — we have no information on that. Because there’s no real fruit in the fruit-flavored donuts. Plaintiff Jason Saidian lodged a class-action lawsuit against Krispy Kreme for falsely advertising its Chocolate Iced Raspberry Filled, Glazed Raspberry Filled, Maple Iced Glazed, Maple Bar and Glazed Blueberry Cake donuts. To Saidian’s apparent surprise, there’s no real raspberry, maple or blueberry in any of those treats. His suit calls out the Glazed Blueberry Cake variety in particular for including “imitation blueberries that highly resemble actual blueberries due to their round shape and blue color.” These faux berries, known as “blueberry gumbits,” are made of corn syrup and blue dyes. Meanwhile, the suit notes that Krispy Kreme’s other filled donuts include the ingredients in their names, like Glazed Strawberry Filled, Cinnamon Apple Filled and Lemon Filled. The real problem is: No one wants to be misled, especially when they’re spending money. Saidian’s suit says he wouldn’t have purchased those donuts or would have paid less for them, had he known they didn’t actually include any of those “premium” ingredients. Which is basically a legalese way of saying, “I want my money back, but please don’t ban me from Krispy Kreme for life.” If he wins this case and Krispy Kreme announces a settlement, plenty of other people will realize they got ripped off, too. And this isn’t even the weirdest lawsuit we’ve seen. One man sued Anheuser-Busch for false advertising because drinking Bud Light did not, in fact, act as a chick magnet. Someone sued Jimmy John’s sandwich chain because their sandwich did not come with the advertised sprouts. Jimmy John’s paid $725,000 in drink or side dish vouchers to customers who jumped on the suit bandwagon. 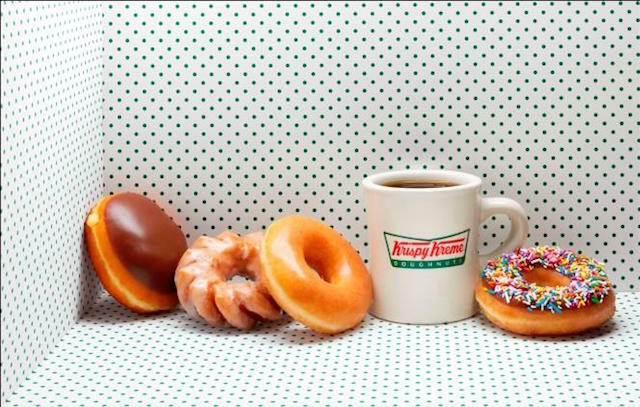 And no, Krispy Kreme isn’t going to flip a switch and become a health-food restaurant. If the court finds the donut giant really did mislead customers, there could be many, many free donuts on the line. Your Turn: Would you consider filing a lawsuit against a company for using artificial flavors instead of the real thing?